At Interior9, we take Home Painting Contractor in Navi Mumbai and help you choose a right color and texture for your special Home/Office.The colors which you are surrounded with, unknowingly have a high impact on frame of our mind. Interior9, our developments in fields of interior designing have taken this segment (painting) to a very different plane. Our Motto is to take distinct care while helping you choose a right color and Give your home a new makeover. We have some sample cost guide for detailed quotation kindly contact us. The building is the backbone of the infrastructure of any nation. Better is the material used in building more is the safety of life. The appearance of building plunks a great image on the wit of folks. Beautifully is the interior and exterior of building crafted more is the value and demand of business and home in the market. In the present era of science and technology, folks are addicted to living a comfortable life and put their complete energy on environmental and economic issues. The interior of building plunks initial image of business in the eyes of customers and healthy environment enhances the productivity of the company. So businessman puts great effort to make Interior of building more pleasing and enthusiastic for employees. The interior of a building depends upon the quality of false ceiling used, quality of paint used and management of space. Painting of building plays a vital role in enhancing the market value of home and business. Nowadays folks of Mumbai are fleeing in Innovation and are aware of new technologies to enhance the beauty of the home. This has enhanced demand for home painting services in Mumbai. Thus leading to an increase in the population of painting contractor in Mumbai. But you can choose best painting contractor in Navi Mumbai when you are aware of the details of painting and painting contractor from all aspects. Painting is the art and science of splashing colors in an appropriate manner with the assistance of brush to create desired structure. It could be done on any surface and any portion of the building to get desired output. It was done by applying paint, pigment or color to any space. Painting is an art of expressing views and ideas in a creative way and it could be done in various ways. Paint is applied to the base by a brush or knives, sponges, and airbrushes. It is also known as act and result of the action. Painting is done mostly on support surfaces like walls, canvas, paper, wood, glass, leaf, poetry, and Cooper. Colors which are near to us affect our life a lot. Colors add energy to life and our wit becomes enthusiastic and energetic if we are smeared up of effectively painted walls. Directly or indirectly it fresh and re energizes our soul. So we spend huge money to flourish room and enhance serenity of it. There one should hire painting contractor with intense care and attention because he is not only responsible to enhance beauty of building of your house or office but also liable for adding beauty and placidity to your life. Painting is the art of adding colors. Painting is a creative activity so we can't restrict it to few of the techniques but there are some popular techniques which most of the painting contractor in Mumbai use. Painting contractors in Navi Mumbai are professionals who work in the property maintenance sector. They are equipped with various skills and talent to paint various types of building including residential flats, villas, bungalows, hosing societies, commercial properties like the hotel, restaurant, factory buildings, offices and retail stores. Painting contractors in Mumbai work on various ways some have their own company other work under property owners, while some find painting task from real estate firms, rental agents, and property maintenance companies. Professional painters prepare and paint the external and internal surfaces of the building. 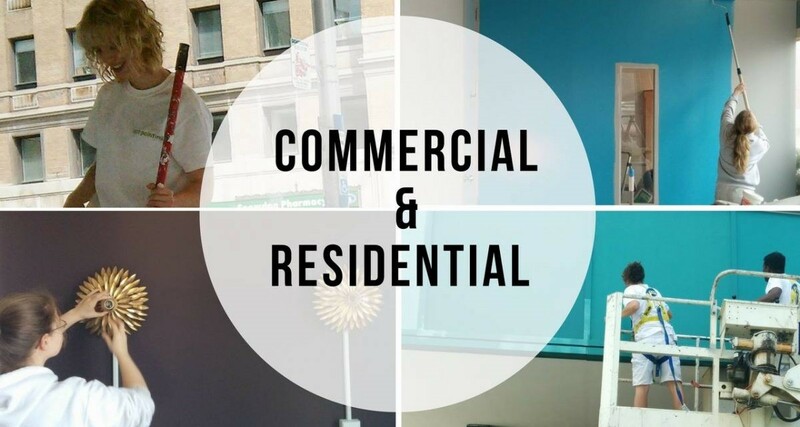 They work on all types of residential and commercial properties. Time management; completing project on the decided date. As painting is a very challenging task which can ruin your time and money if not fine with attention and expertise. It requires finesse, skills and incredible patience. Therefore, on should opt for professional painting contractor in Mumbai. There are several benefits of hiring professional painting contractors in Mumbai. Professional quality wor - Professional painting contractor in Navi Mumbai provides excellent quality work and will make your room look picture perfect and be painted to your precise requirement with 100% accuracy. 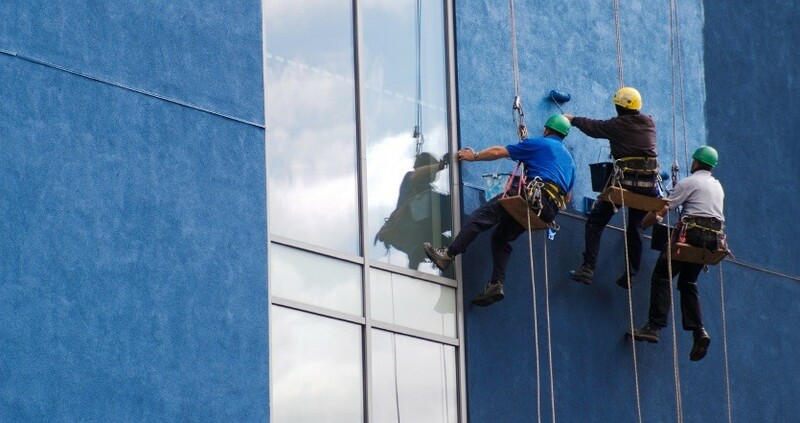 Thorough preparation work - Professional painting contractor in Mumbai is known of the inscrutable fact that preparation is most important step while painting exterior or interior of building. So he spends plenty of time doing research on which company paint to be used and which technique be should apply to attain required standards. Proper safety measures - Painting on 30 feet high with immense accuracy and perfection requires intense experience and knowledge. Painting contractors in Mumbai has all the traits to perform task with perfection on time. Comprehensive clean up - Professional painting contractor in Mumbai provided service of cleaning your building by themselves to make you liberal from newly polished massy house. Home painting services in Mumbai are enhancing with great pace. One can experience amply of painting contractors in Mumbai. We, Interior9 provide best home painting services in Mumbai. We are one of the favorite painting contractors in Mumbai because we are expert in choosing right color and texture to convert your home and office to special home and office. We have expertise in painting office and resident in Navi Mumbai, Panvel, Vashi, Ulwe, Kharghar and complete Mumbai. We provide excellence in our services and are a team of highly talented and experienced interior designers who are making thousands of house in innovative look and assisting folks in making their dreams come true. Our services are also all types of civil interior works, all types of carpentry works and furniture works. We also deal in servicing of all types of false ceilings like POP, Gypsum, and grid. We also provide complete flooring work services like granite, Italian marble, vitrified tiles etc. We have expertise in electrical and lighting works in Navi Mumbai. We provide best home painting services in Navi Mumbai. There are various unique selling prepositions we provide with our interior designing work to our clients these include high professional work, hassle free painting, a wide range of options, timely project completion, 2 years warranty and highly durable and unique painting design and strategies. If you have any query feel free to contact us. What is included in above Estimate?